The third album by the Christians was to be their last for a very long time (until 2003). The music on it, however, shows nothing that necessitates their demise, being a very evenly produced set of songs with familiar characteristics and quality. Moreover, the challenge of letting each of the trio write a number of songs (instead of Henry Priestman writing everything) is met with ease. The classic ’70s soul style stays intact, with Gil Scott-Heron’s song “The Bottle” providing a kind of centerpiece, complete with electric piano, flute, and echoes of wah-wah guitar. A number of session musicians provide a very even-tempered playing quality throughout the album, but maybe the smoothness of proceedings can be seen to be a drawback (specifically in comparison to the intensity and immediacy of their debut album, that had more of an ability to “grab” the listener). Dwelling on the darker aspects of society and personal life remains at the center of the Christians’ lyrical concerns, but more often than not in generalized form. Songs such as “Storms or “Slip Away” have that typical metaphoric quality, as handed down through the gospel roots of soul. However, some songs do connect a bit more clearly to distinct topics, such as “Father,” in which the genocidal conflicts as witnessed in 1992 in Yugoslavia seem to provide the backdrop. Optimism and hope do get a say, however, most pronouncedly right at the album’s start, in “What’s in a Word” (which celebrates the power of ideas that can change things for the better) and, near the end, “Still Small Voice” (meaning that inner voice of consolation that you look for in hard times). 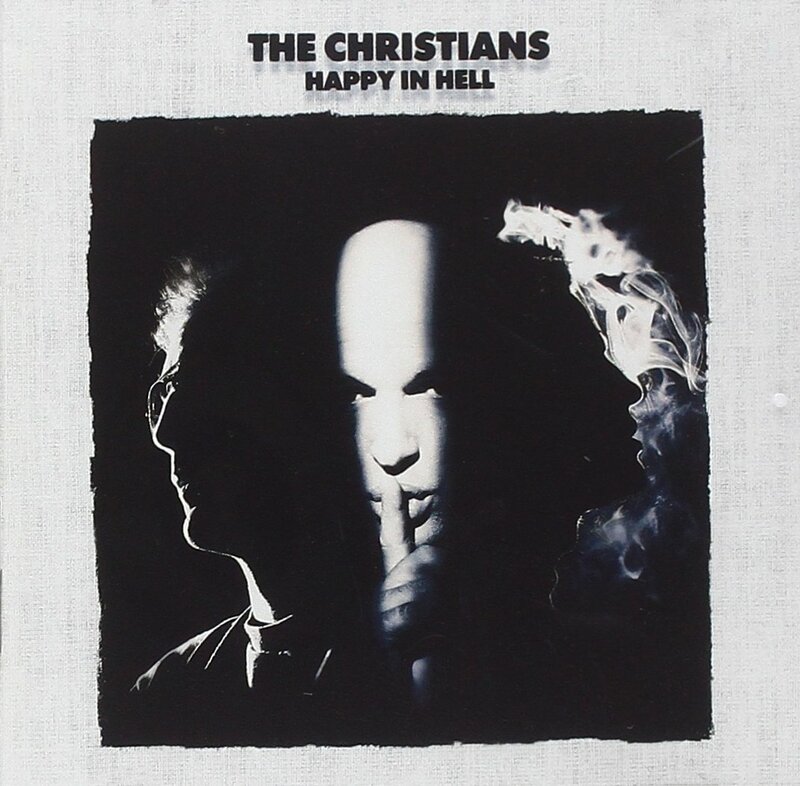 The title track, “Happy In Hell,” closes the album with a kind of summary of the Christians’ world view: having no illusions and being the happier for it — in spite of things.